about your rights, your child right to file. 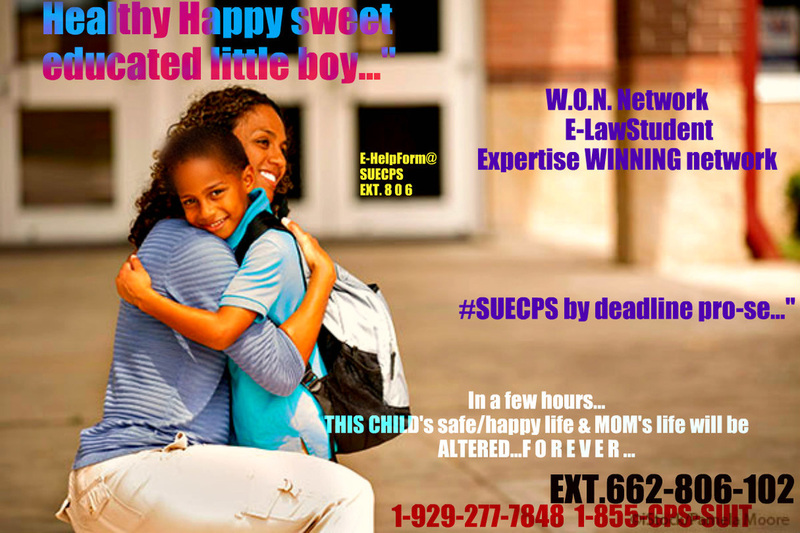 Lawyers throughout NJ NY tri-state,to California nationwide, continue to wholly agree such injuries is clear for parental rights/violation and constitutional state/federal violation for S.MELENDEZ ext. 806 and clearly cemented-dozens of claims injuries violations for her daughters,as well almost a decade worth of severe harm by DCPP. A WARRANT OF REMOVAL,IMMINENT DANGER? CHILD WAS FINE UNTIL DCPP intervene? The actual founder Ms.Melendez,has been where you're at,and she has won the right to see her $50MILLION DOLLAR SUIT,move forward against liable workers,defendants who allow her girls to suffer grave injuries, encompassing the fact, there was never any lawful premise to keep the girls from her for years. Ask for owner directly. Click here to begin, your 1-on-1 POWER-SESSION with our effective law student research WON network virtual staff today, and take back your rights, when doing so." 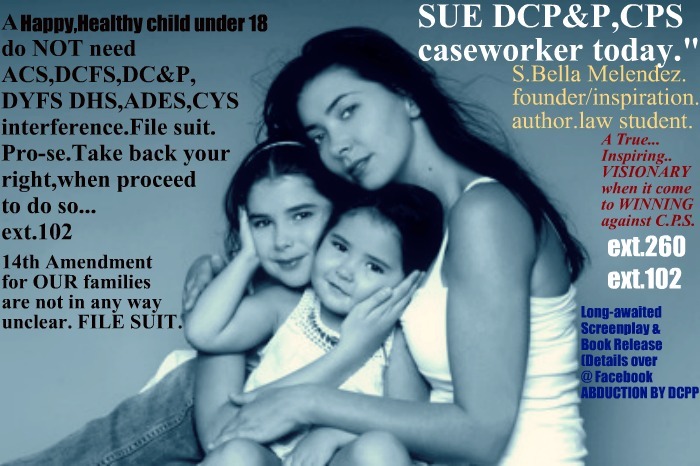 Not suing was of "no option" for our founder, Ms.Melendez,premise on the fact she had already known she would be suing with her girls when all was said and done after such atrocious act(s)were done to deliberately harm her + her girls,as experts call it nothing short of inhumane. She has won such right to move forward$for her personal injury/civil rights/constitutional rights,money damages involving her $ 50Million." Always search for a lawyer. Do not call only 1 either,call many everyone. Search, and do not give up your search, even while pro-se. 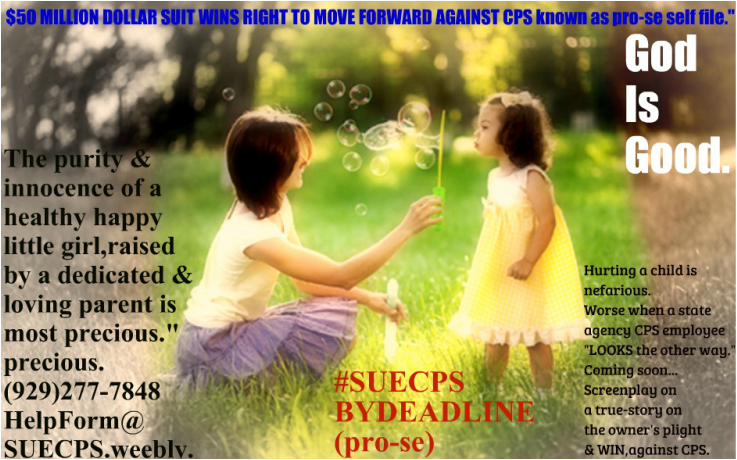 At least then while you're suing pro-se, you're able to still bring on a lawyer at ANY TIME througout the great process of suing a worker who assume, "she was going to damage your life, ache your child's heart, and damage your own bond with your child,and get away scott-free with it." 1-929-277-7848 ask for specifically extension 806, when suing dyfs,(dcpp) by deadline pro-se.